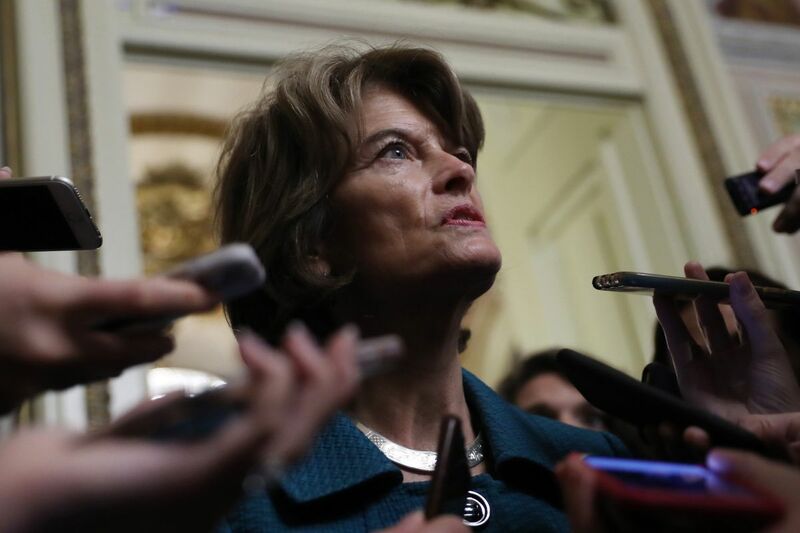 Sen. Lisa Murkowski, R-Alaska, speaks to the media on Capitol Hill in Washington on Oct. 5, 2018. Bloomberg photo by Andrew Harrer. WASHINGTON - The Senate plans to hold dueling votes Thursday to end the longest government shutdown in history. Like many, Sen. Mike Rounds, R-S.D., thinks both proposals will fail.